The Principal in charge of the Holy land Academy and head of the dorms. She gives Kenshi his first job in the Holy land and later arranges for him to become a student. 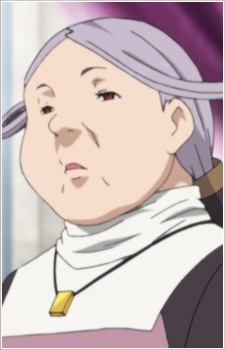 Her Personality is much like a kind grandma as she always has a smile on her face and is always willing to help out the students with her sage advice. After the Holy land is taken over by Babalun, the Principal works behind the scenes with the remnants of the church and the students to take back the Holy Land.